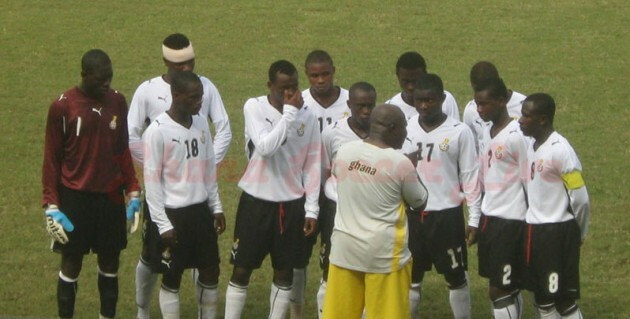 Ghana's under 17 team, Black Starlets have been weakened after 12 players were disqualified for being overage following an MRI scan. The scan was a key requirement by world football governing body FIFA before the qualifiers for the Africa Under 17 Championship gets underway. The head coach of the team, Paa Kwesi Fabien confirmed the news in interview with Happy Sports. The former Hearts coach added that the new development will not affect his team because replacements would be called in quickly once a nationwide exercise is done to scout for talents is completed. Paa Kwesi however says he cannot be blamed for the latest development since he only selected players based on the ages on their passports. This is a big blow to Ghana, a country that has had good reputation for unearthing good talents at the junior level, having twice won the Fifa Under 17 world cup in 1991 and 1995.